Japanese company Fuji Heavy Industries is best known as the parent company of Subaru. 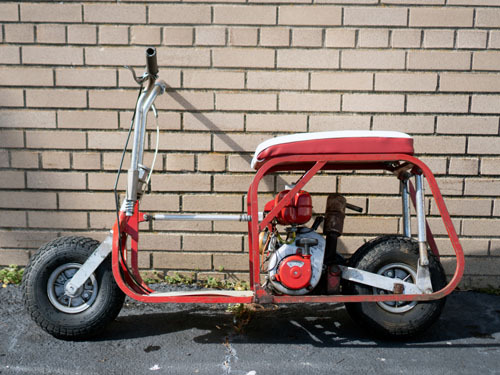 Before they made cars, FHI was well-known for their line of scooters and motorcycles, including the Rabbit scooter. The little Go-Devil seen here was introduced in 1964 and was marketed as “just what you need, and nothing more”. The Go-Devil folds into a compact package, made to fit inside the provided zip-up bag. 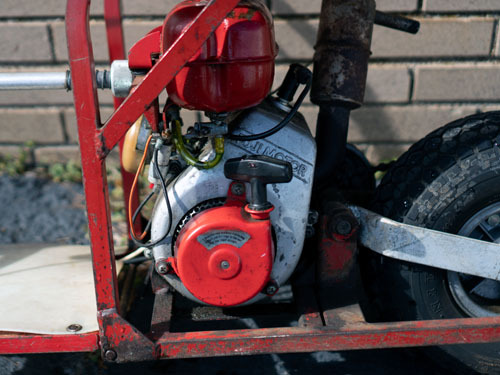 The scooter is powered by a 50cc Fuji two-stroke, with power sent to the rear wheel via a chain drive. The Go-Devil was considered one of the nicest mini-bikes of the time, with features such as swing-arm suspension, front forks with 30 degrees of rake, and good build quality. 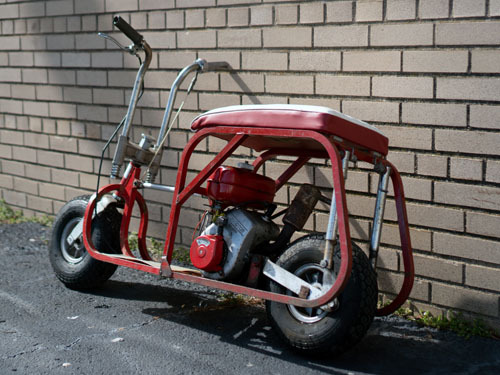 A Popular Science magazine review from February 1971 proclaimed the Go-Devil “Looks like a minibike, feels like a motorcycle, and rides like a motor scooter”.